With the announcement of My Life Story by Becky Lynn Black we pass a milestone of sorts for a publisher. We have used two blocks of 100 ISBNs each (978-1-893729-NNN-X and 978-1-938434-NNN-X). Those unacquainted with publishing these days may wonder how, with about 100 books in the catalog, we’ve used 200 ISBNs. The answer is that we require an ISBN for each ebook format. In fact, we needed quite a number of new ISBNs to complete conversion of all our titles to ebooks. In any case, this time we have purchased a block of 1000 ISBNs. The new identifier is 63199, so these ISBNs will be 978-1-63199-NNN-X. 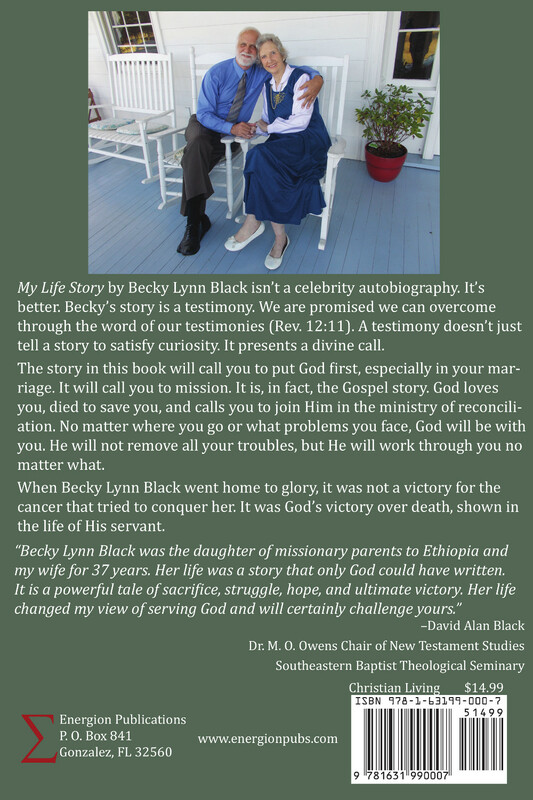 The picture to the left is the back cover of Becky Lynn Black’s book which has the honor of receiving the first ISBN from this new block, 978-1-63199-000-7.